Renewing the magic of Holiday season, Elie Saab creates a sparkling and shimmering year end, born from an explosion of light. 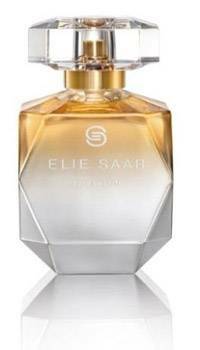 Inspired from ELIE SAAB's sumptuous creations embroidered with sparkling pearls and sequins, the iconic bottle of ELIE SAAB Le Parfum transforms gold into shades of silver in an explosion of glitters. To echo the limited edition bottle, Elie Saab has designed a satiny silver box decorated with a gold rectangle which refinement adds a subtle contrast. Available exclusive to Myer stores.